Hasbro’s earnings report confirmed what industry analysts had been saying all along: toy manufacturers will lose sales because of the closing of Toys ‘R’ Us. The two largest U.S. toy manufacturers, Mattel and Hasbro, were disproportionately represented on the shelves at Toys ‘R’ Us, so they were expected to see a bigger immediate impact and to lose some sales permanently to other toy manufacturers with the loss of shelf space. There is nothing to indicate that the toy manufacturers are in any financial peril, however. They will be able to scale back production plans and carry on on a slightly smaller scale. During the earnings call, Hasbro said there should be no long-term impact from Toys ‘R’ Us, but there is nothing to back up that assertion, while reports of layoffs imply that the company expects a permanent loss of a small fraction of sales. The Christmas shopping season is underway. Shoppers were out in force at the local stores I visited this afternoon‚ not in the large numbers of a November weekend, but enough to tell you this is not just an ordinary shopping weekend. Shoppers converged on the checkouts to form the same kind of lines that will be seen with a larger number of cash registers open a month from now. The strong early start to the Christmas shopping season implies that, like the past six or years, the crush in November and early December may never materialize. For troubled retailers hoping for a big December, like Mattress Firm, Barnes & Noble, and of course, the newly bankrupt Sears and Kmart, the high level of activity in October is not a favorable sign. It implies that December will again be on the sluggish side, with many shoppers having already completed their shopping by then. One of the stores I visited was the local Kmart store that is set to shut down in bankruptcy in about ten weeks. There were plenty of shoppers in the store even though the store closing sale will probably be starting in about another week. Looking at the store, the only indication of a liquidation underway was a small display of back-to-school items at a deep discount. It was, as they always say in bankruptcy, business as usual. The shelves were stocked well enough to be credible, but if you looked for them, you could see signs of a business in decline. 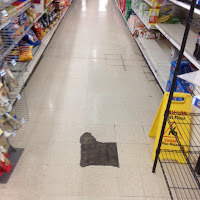 The company had stopped repairing the floor at least two years back. 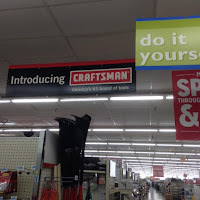 The ceiling banner that said “Introducing Craftsman,” a marketing message that dates all the way back to the original merger of Sears and Kmart, had surely not been touched in more than ten years. The merchandise selection, when I looked at it, seemed somewhat dated, though walking into Kmart was not like walking into a time machine. The wall of televisions one might have seen a decade ago is gone, and there are now more iPhone cases for sale than televisions in the electronics section. It was my first visit to Kmart in about five months, and looking at the items on the shelves I realized why. The specific item I had come to buy, an appliance extension cord, was the kind of item that could be expected to last for 20 to 50 years. Extension cords do not wear out the same way they once did. The same holds true of a wide range of merchandise. One aisle over, there were LED light bulbs that might last half of a human lifetime, right next to the more familiar incandescent bulbs that last about one year. Shoppers who select the LED bulbs, even by accident, will not be back to the same display nearly so soon. At the front of the store, artificial Christmas trees showed the same kind of durable design that might last for decades. The layout and business model of the traditional department store, which Kmart replicates, is based on the assumption that common items like extension cords will be replaced every few years. With so many items to replace, you return to the store almost every month. There was a time when that theory worked. I remember when I would shop in a department store at least once a month. Without my noticing, that became once or twice a year. The durability of modern manufactured goods is what is killing the department store. I have written about shopping fatigue, consumer time pressure, and e-commerce, and surely these all have their impact, but product durability is the crux of the problem that faces department stores. This implies that the failure and likely liquidation of Sears and Kmart is not good news for Target, Walmart, or Amazon. When products last longer, every retailer has fewer opportunities to sell. History has not been kind to U.S. retailers that file for bankruptcy reorganization at the start of the Christmas shopping season. Those filing in January after a Christmas-season disaster have a shot at survival. A retailer that goes into bankruptcy before Christmas is too deep in debt to put merchandise on the shelves. The first example that comes to mind is Toys ‘R’ Us, a year ago, and of course, that retail chain is long gone. The reorganization plan is, in so many words, “Stay the course.” Only 142 Sears and Kmart stores will close immediately, in two retail chains that may not have even one profitable store between them. Sears wants to continue the slow, cautious dismantling that has been the plan at Sears for the last ten years, resulting in a loss in almost every quarter. The CEO who was the architect of this downward spiral remains with the company. There is nothing to persuade creditors, investors, suppliers, or a bankruptcy judge that meaningful change is on the way. Most of the assets are gone. Sears lists $6.9 billion in assets, compared to $11.3 billion in liabilities. In the past 11 years, Sears has sold its best store locations. The Canadian subsidiary went into bankruptcy and has already closed. 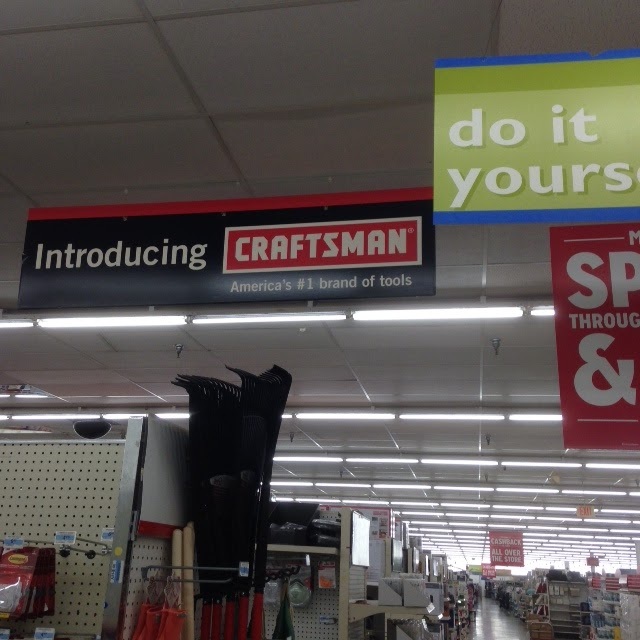 The Land’s End and Craftsman names are gone, the Sears catalog a distant memory. The assets that remain will have to be scrutinized. Some may be less valuable than estimated. Many are surely encumbered in one way or another. There may not be enough assets available to provide the foundation for one retail chain on this scale, let alone two. A retail bankruptcy can fall into liquidation from just one problem on this scale, and Sears has these four. The most likely outcome, then, is that the last Sears and Kmart stores close no later than April. There are reasons to imagine this happening sooner. First, a bankruptcy court could reasonably reject the bankruptcy plan. After all, “stay the course” is not a plan, and liquidation sales will bring in more money if they can be conducted during the Christmas shopping season. If the planned financing comes through and most stores stay open, that still leaves the bankrupt company out of cash in January. It would have to do something remarkable during the Christmas season to invite new investment that would allow it to continue, but no one goes into a Sears or Kmart store with the word “remarkable” on the tip of their tongue. So this is the big question: how many stores close in the next three months, and how many in the three or four months that follow? Context and proportion are important. Most Sears and Kmart stores have closed already. At the company’s peak there were thousands of stores. If Sears and Kmart can keep a few hundred stores open for a short time beyond the end of 2018, until those stores close too, it is a footnote in the history of two once-proud retail names. There could be three rounds of store closings in bankruptcy. There will be the initial list of 142 stores. This list is apparently not yet decided but would have to be announced in October. There could be a followup list of additional stores to close immediately after the after-Christmas sales. The size of this second list will be a sign of the balance of power between lenders and suppliers. Sears’ suppliers are better served if this second round of closings is larger; lenders are more likely to seek to avoid this second round entirely. After the Christmas sales numbers are in, there would have to be a third list of stores closing because seasonal revenue was too low. This could be a short list if a miracle happens and Sears has a strong season. If the season disappoints, all the stores will close quickly. Workers. Sears employs close to 100,000 workers at its stores. The question workers face is, “Will my store close in December, January, or March?” If you work at the store, your hunch is probably as accurate as anyone’s detailed analysis. Suppliers. Layoffs are likely at many Sears suppliers, and profit could be affected, especially in the current quarter. The Kenmore brand. The Kenmore appliance brand will probably be sold at auction. The most likely buyer would be a large appliance manufacturer. Kenmore will be a vanity plate on appliances identical to those already sold under other brand names. Malls. Sears was once one of the two anchor stores in about half of the malls in the United States. There are some malls, especially in the heartland, where it is the only anchor store still open. There could be dozens of malls that close next year after the Sears store closes. Toys. Shoppers who needed toys for Christmas already had a chance to buy them at the Toys ‘R’ Us liquidation and will have a second chance as Kmart locations close. Popup toy stores this season will largely go unnoticed. Even next year might be too soon. The Sears card. As Sears was taking its business apart, it sold off its credit card portfolio. Citibank will probably replace Sears cards with Mastercard cards, though with limited success. Gift cards. I have never seen a Sears or Kmart gift card, but as always in a retail bankruptcy, if you are holding a gift card, spend it soon.